Has a family member told you they have a bulging disc? Or did a doctor say you have a herniated disc? What does that mean and what can you do for it? Wichita chiropractor Dr. Ryan Dopps DC is here to answer those questions. Discs are like cushions between the vertebrae, the individual bones of your spine. A herniated disc is the result of a chronic misalignment of the spine. Dr. Ryan explains that when two bones are aligned, they sit parallel; however, when they are not in alignment, they are tilted. This tilt pushes the disc to one side. Repeated compression from gravity, everyday movement patterns and sports eventually makes this disc herniate, or push out and protrude from its normal place. Another name is a bulged disc. This can cause sciatic nerve pain in the legs and lower back, or down the arm. Watch this video to see an explanation. Generally, a medical doctor will use an MRI to diagnose a herniated disc. An anti-inflammatory can be prescribed to reduce the inflammation around the compressed nerve, then muscle relaxers. A round of physical therapy is next, working to strengthen the muscles around the disc and vertebrae involved. When the problem continues, a patient is sent for an orthopedic consult, and possibly a discectomy. In this procedure, the disc is shaved down to relieve pressure on the nerve. There are some risks, as the patient is under general anesthesia, and will be limited in moving and lifting so as not reherniate. Dr. Ryan doesn’t personally prescribe many MRIs, as studies have shown that when symptom-free people received an MRI, large percentages of them with showed a bulged disc, even thought they weren’t currently experiencing symptoms. He prefers to start with an x-ray evaluation. Though this does not show the soft tissue one would see on an MRI, he can check the alignment and angulation of the vertebrae to see what needs to be adjusted. With time and repeated adjustments to move the bone, a chiropractor can remove the abnormal pressure. This allows the disc to begin healing. The repetition is needed to keep the vertebrae in alignment so the herniation does happen again. Dr. Ryan noted that physical therapy has its place and is beneficial to strengthen the muscles after a chiropractor has moved the bone into place. It is also helpful to be aware of your movements to avoid the disc bulging more or again; avoid bending and lifting, as well as bending and twisting. He estimated that it takes a bulged disc 60-90 days to heal, filling in the injury with scabbed tissue, and then going back to normal. During this time, more intensive chiropractic care may be needed. If you suspect a herniated disc, call 316-636-5550 and make an appointment with Dr. Ryan or Dr. Denise at their Wichita office, Dopps Chiropractic NE on Greenwich and 21st. If you are not in the area, contact them for a referral nationwide to another principled chiropractor at admin@drdopps.com. 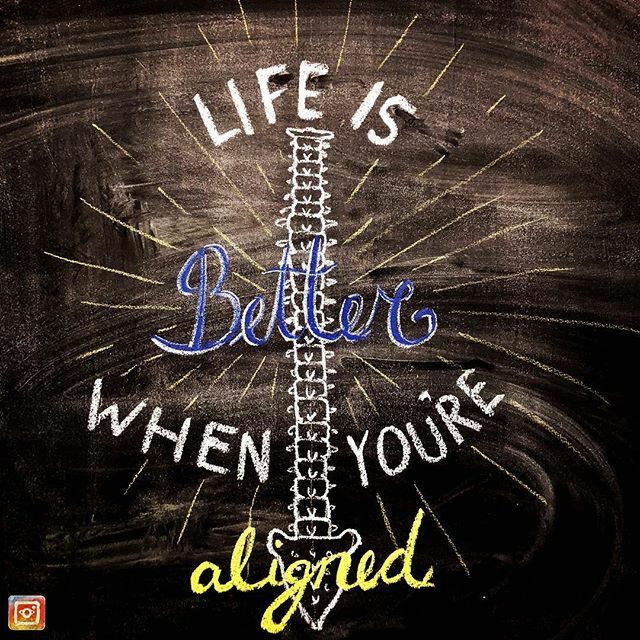 You can also find Dr. Ryan on Instagram (@drdopps) where he lives out a chiropractic lifestyle and @letschalkaboutchiropractic posts fun, humorous snippets of information with colorful illustrations, such as the one featured in this post.